I can so relate with Kim from Windsor and Main. She wrote in her Zippy Glass Case Tutorial a funny, but true fact of life. Once you hit your 40's you can no longer see, or read labels. In fact, I am heading to the eye Dr later TODAY! My prescription for my contacts changes YEARLY because my age 40+ eyes can't make up their mind. I am on my last pair of contacts, and I found one of them on the counter dried up today. ACK! My glasses are from three prescriptions ago, so I knew I had to get in right away. 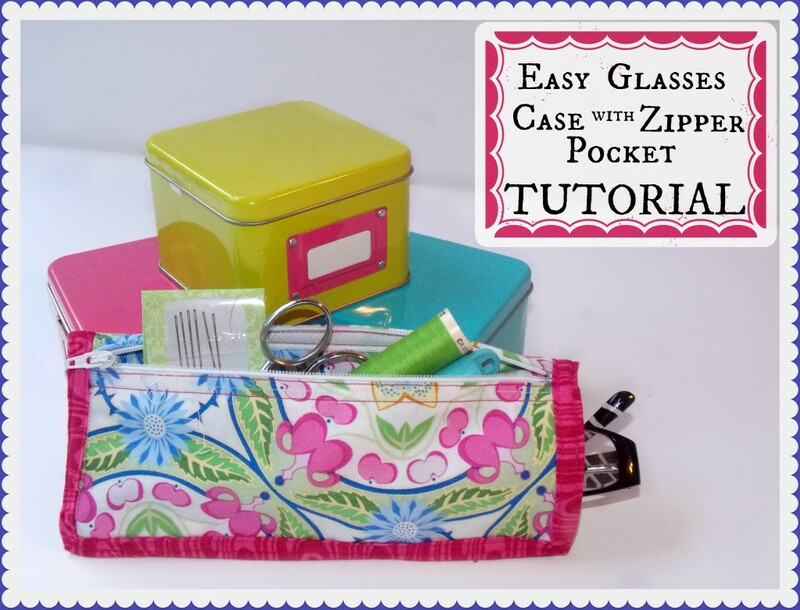 In addition to a funny story, Kim shares a wonderful step by step tutorial on how to make a glasses case with a side zipper to hold important things. She has great way of explaining things, so even an inexperienced sewer can make this case. You can find her Zippy Glass Case Tutorial HERE. Thanks so much for linking up to Dare to Share Kim!